In the late 80's, as a fanboy of Dario Argento, I made every effort to get hold of all of his movies. 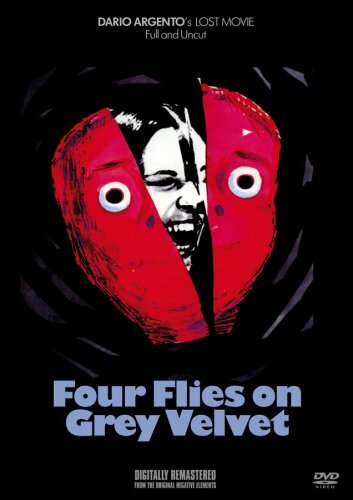 One that was always elusive and seemed impossible to get in a watchable version was Four Flies On Grey Velvet. The closest I ever got was an nth generation VHS, which proved to be unwatchable (I tried!). As Argento's career declined, so too did my interest in his movies, to the point that when Four Flies was released on dvd by MYA in 2009, despite never having seen the movie, i didn't pick it up. As Argento's movies have appeared on blu ray, I've rediscovered my love for them once again, despite some less than stellar releases so far. 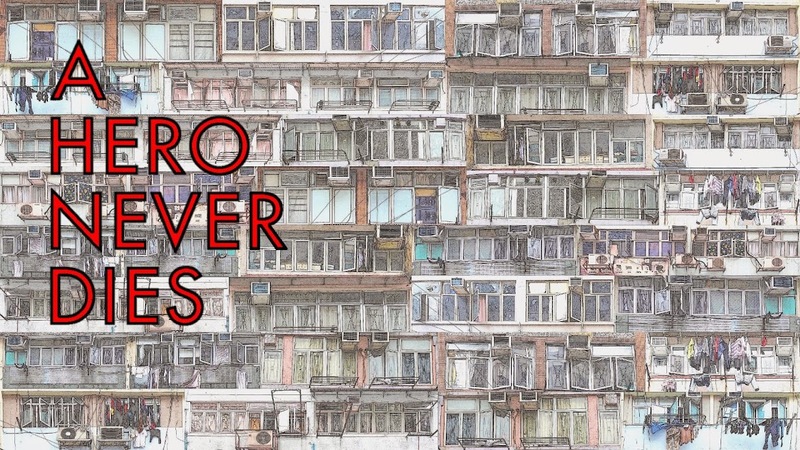 All of which brings me to the new Shameless release of Four Flies. 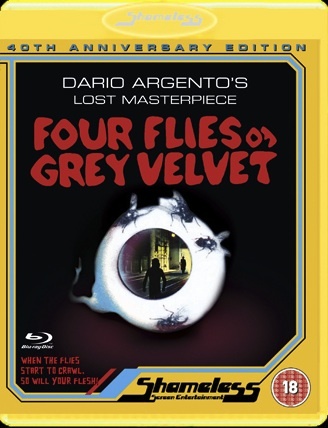 Knowing the history of this title, my expectations for this release were low, having now seen the blu ray disc, I'm pleasantly surprised at the quality but as ever it seems, where Argento blu rays are concerned there are caveats. Starting with the positives, the image quality is very good and has a nice layer of natural looking grain, giving the impression of little digital tampering. It isn't the sharpest of images but this is most likely down to the original elements rather than the transfer to disc. Audio is also of a higher quality than I anticipated, with clear dialogue and a surprising amount of depth to Ennio Morricone's score. The largest problem with the Shameless presentation is an audio issue during the last ten minutes or so of the film. During this section the dialogue switches to Italian (with English subtitles) quite frequently, not a problem in itself, the English track presumably was lost or damaged for these passages. The problem is during these Italian scenes extremely loud cracks can be heard, that not only ruin crucial moments of the film but also made me fear for my TV's speakers. To compound matters, these noises are NOT present on the Italian language tracks also included on the blu ray. A sloppy and pretty much unforgivable mistake by Shameless, I hope they seriously consider a recall to correct this issue. Another problem is a video issue where by a scratch on the film, present during the film's stunning end sequence, has been taken out by removing the line from the transfer completely, giving the appearance of the image being split into two halves. If they weren't prepared to fix the issue correctly (which I guess would have been prohibitively expensive), it should have been left alone rather than a cheap fix that actually makes it worse. So, the blu ray is far from perfect but the film looks and sounds way better than you would probably expect. Can I recommend buying it? No not really, the mistake with the sound is too significant to overlook I'm afraid. If however Shameless were to sort out the audio problem then I think it would be a very worthy purchase. "Can I recommend buying it? No not really, the mistake with the sound is too significant to overlook I'm afraid." Thank you so very much for your candor. I was excited for this release but I guess I'll hold on to my old German disc of this one. As for the film, it's quite talky but an entertaining Argento movie. Good stuff. Great write-up, as usual. Wes, Dracula isn't out yet, the nearest we've had was the appalling unfinished footage that was apparently leaked. As for Four Flies, I'd consider it if no other releases appear or if it was cheap enough. I'm a little surprised you haven't dived in to the current releases, do you not have any of them? Admittedly I've already double dipped for the BU Inferno but hey! Thanks Hans, see the above comment, and I completely agree re. the film itself, I have a review almost ready to go! I was just about to ask what you thought about the film itself, technical aspects aside. But the comments answered that question and I shall wait for your review.